In the past most of Bedford’s exports were transported by river, however, this is not the case today. 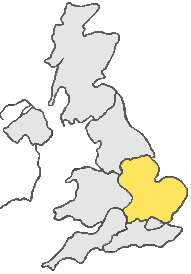 Nowadays, Bedford has close transport links with the North and South of England, it is also within easy reach of the A1 and M1. Courier Expert’s same day courier Bedford drivers will use these links, to ensure that they can collect your same day courier delivery, at short notice. So, if you need something delivered today from any Bedford address or the surrounding area, give Courier Expert a call and get that urgent delivery on the road. So, if you’re looking for a Bedford Same Day Courier call us now on: 01908 411178.